Qualification for the last 16 of the Champions League has been far from plain sailing for Paris Saint-Germain this season – but the goal is in sight, and their future is in their hands. 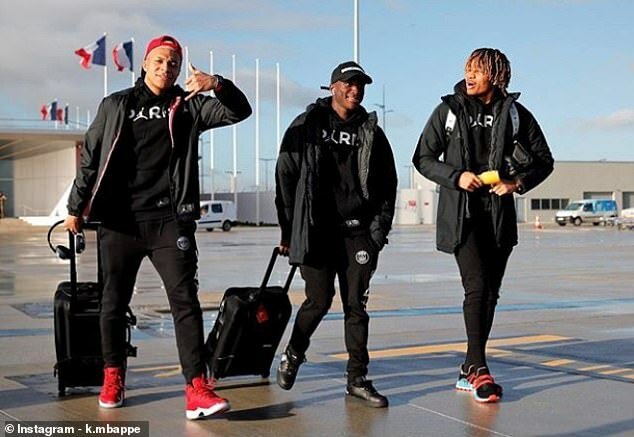 Win away to Red Star Belgrade on Tuesday evening, and PSG will reach the knock-out stages from a devilishly tough and tight Group C.
Star forward Kylian Mbappe certainly looked confident as he and his team mates made their way for their flight to Serbia on Monday afternoon. 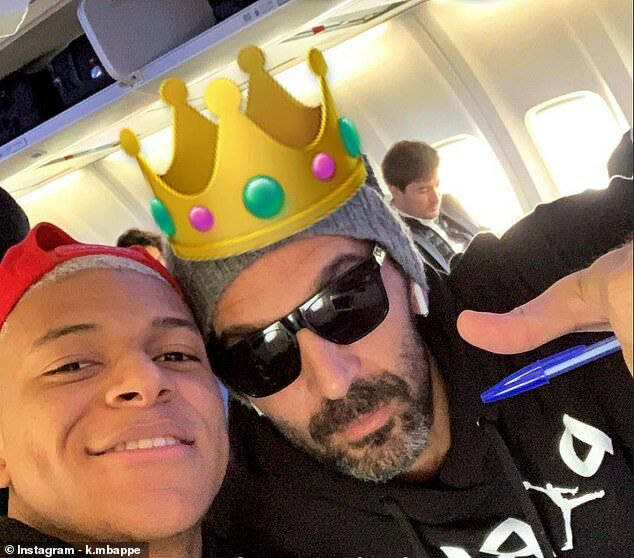 Mbappe, sporting his new silver dyed hair, then posted a selfie from his seat of him alongside goalkeeper Gianluigi Buffon. The 2018 World Cup winner paid tribute to Italy’s 2006 champion by shopping a crown emoji onto the veteran No 1’s head. 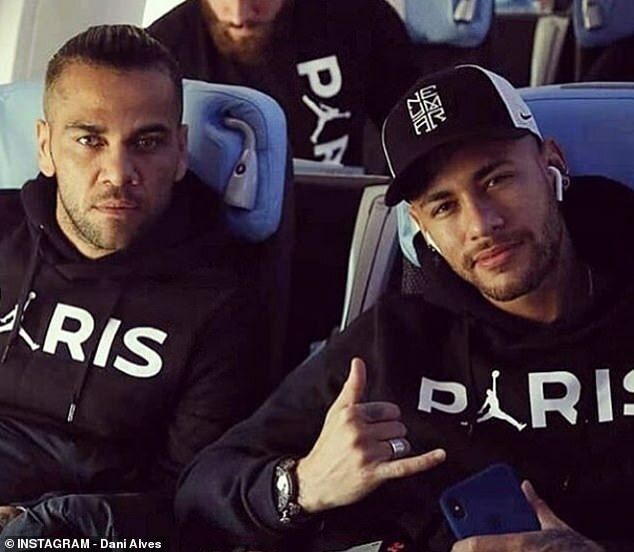 Brazilian stars Neymar and Dani Alves also looked relaxed in their selfie, despite the tricky nature of an away trip to Red Star and the huge importance of the game in PSG’s campaign. PSG are on eight points after five games in Group C, sandwiched between Napoli on nine and Liverpool with six. Their opponents in the final game week, Red Star, have four and are already eliminated. If PSG win, then they are guaranteed a top-two spot. They will win the group with a victory, unless Napoli beat Liverpool. Draw or lose, and things become much more complicated and reliant on events in Liverpool – something Mbappe, Neymar, Buffon et al will be very keen to avoid.